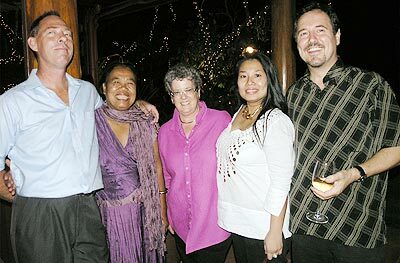 Ian and Jettli White hosted an evening at their home to launch a book entitled ‘Work of Theo Meier’ a Swiss artist who died in 1982. (standing) Ed, Susanna, Alexander and Dominique, (seated) Cindi, Hans, Julie and Karen. 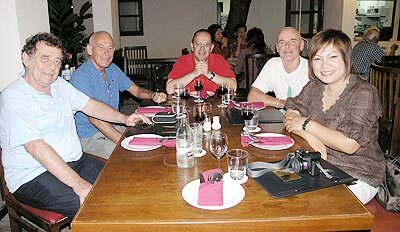 Chiang Mai Friends Group met last Thursday: (standing) Oo, Neinka, Thanon, Tom, Seewapong and Reidar (l/r). (seated) Tommy, Mam, Boong and Prachurn (l/r). 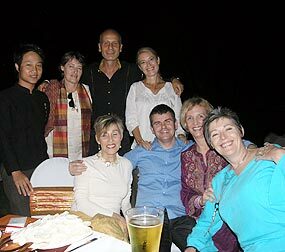 Chiang Mai Friends Group is a networking group of both Expats and Thai for business and sharing a genuine love for Chiang Mai City with a mission statement: ‘Green - Green Resource Ethnic Education Networking’. 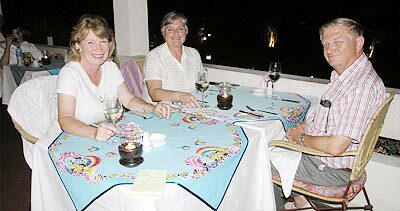 Sue, Shelagh and Trevor relaxing at the Lanna Restaurant, Amari Rincome. 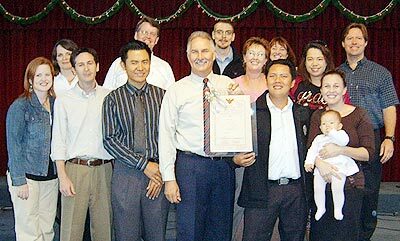 The Christian Outreach Centre Foundation & Haven Foundation celebrates the handover of the land and building deeds from lawyer ‘Joe’ Thanakorn Viwatronakit to Pastor Jonathan Vickers, the CEO pictured here with some of his team. 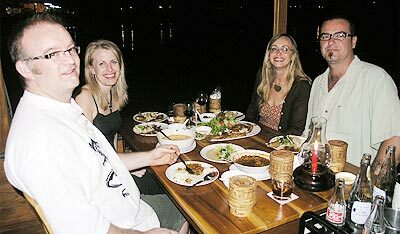 On the Riverside Restaurant boat along the Mae Ping River; Gerry, Mia, Evie and Rob (l/r). Pedr, Landlord of The Olde Bell (standing) with Warren, Ross, Ross and Korbee at St. Davids Day celebrations at The Olde Bell. 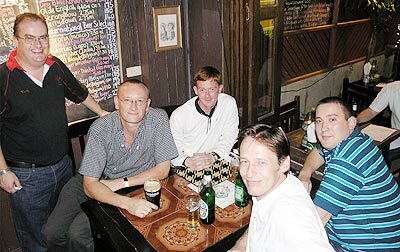 Jo Wiersma, Wim Fagel, Gil Sutherland and Pinkaew Fagel (l/r).